HOW DOES SUDZY CONNECT ME TO MY CLEANER? Sudzy is the modern way to communicate with your favorite cleaner. You get a convenient way to place an order, get notified when it's ready, schedule delivery and... relax while your cleaner is taking care of your clothing and making sure you get it on time. Ask questions and track your orders by text. When your clothing is ready you get a text and you can decide if you want to pick it up or have it dropped off to your place. 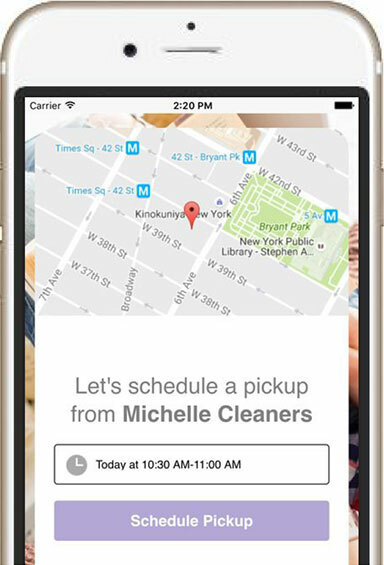 Schedule your pickup and drop-off in a single click through mobile app, web or text message. Further, Sudzy connects your cleaner to drivers when they are busy so you get the fastest delivery always. Sudzy processes your payments in a secure manner and sends you digital receipts to your email or mobile. 2017 © Copyright Sudzy Inc. I wanted to invite you to have your laundry and dry-cleaning delivered by local cleaners on Sudzy!